Bigger, better and more profitable! If there was one practice that mango farmers have adopted and it has benefitted them immensely, it is Ultra High Density Plantation (UHDP). 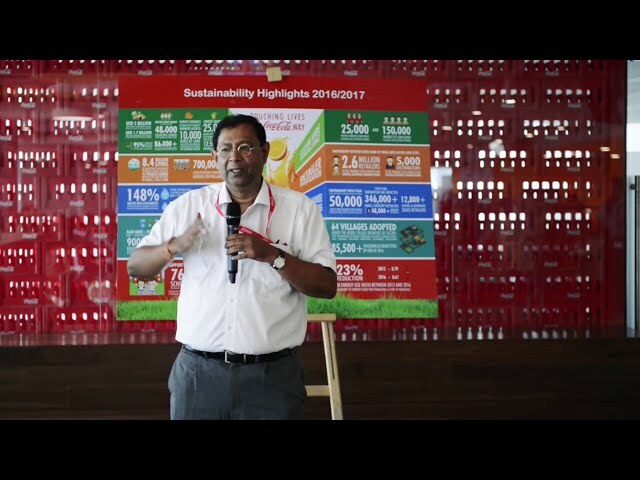 Hindustan Coca-Cola Beverages has been working with its partners Jain Irrigation, to promote this technique in India and farmers are already reaping the benefits. The pioneering idea is also leading to a small revolution in India’s fruit economy. The first seeds for the massive change that is brewing have been sown and a bigger change could be round the corner. Many fruit cultivating farmers in India who have joined the UHDP (Ultra High Density Plantation) project, called Unnati have already benefited immensely by practicing it. In the Chittoor district of Southern India, Project Unnati creates positive impact across many of our sustainability focus areas, including women’s empowerment, community well-being, water and sustainable agriculture. The project aims to harness the higher productivity potential of mango farms, allowing owners of small-sized farms to increase crop yields and improve their livelihoods. What is UHDP and How does it work? UHDP is ultrahigh-density plantation which significantly conserves water and land resources by using drip irrigation and high tree densities in combination with a specialized pruning process. The method also decreases the time it takes to bring new mango plantings to maturity. As a result, the farmers are not only able to increase the plant density, but are also able to reduce the consumption of water by more than half and increase the production per hectare by double. The regular pruning reduces the wastage and gestation period of the fruit. The duration within which the plants bear fruit also comes down almost by half. This enables the farmers to start earning much ahead of time, with double the income. Why do we need UHDP? India’s love for fruits and fruit based drinks, is offset by its relatively lower production yield. With fruit-based drinks like Maaza, Fanta and Minute Maid, becoming increasingly popular its becomes imperative for Coca-Cola India as one of the largest juice brand owners produce sustainably. This is what led to the inception of the UHDP project. How is the revolution spreading? Establishing approximately 200 demonstration farms. Providing active on-site training and support to an estimated 18,000 farmers by bus, which we call the Coca-Cola University on Wheels. Enabling approximately 3,000 women mango farmers through project support and training.